How to deal with earwax of your child ? Home » Blog » Child Care » How to deal with earwax of your child ? After the wax is produced in the ear, it slowly comes out through the outer ear canal. Then the wax falls out or comes at the time of bath. Some kids have more earwax compared to others. The presence of excess ear wax can impact ear canal, and this could be painful. Sometimes ear wax can affect hearing. 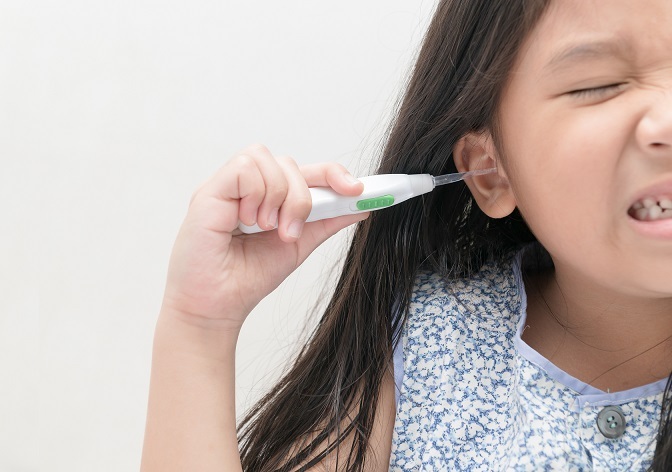 Avoid inserting any cotton swab into your child’s ear canal. Remember to consult a pediatrician if your child shows any signs of infection. If the wax does not come out of your child’s ear after following the above steps, you can try using the drops for few more days and then flush again. When home remedies do not work, take your child to a doctor who can remove the wax using specialized tools.